Eddie and Johnnie O’Brien held the Major League baseball record for double plays turned by brothers when the the twins, from Seattle University, played five seasons together for the Pittsburgh Pirates in the 1950’s. Cal and Bill Ripken became the current record holders when the brothers played shortstop and second base for Baltimore Orioles during the late 1980’s through the early 1990’s. 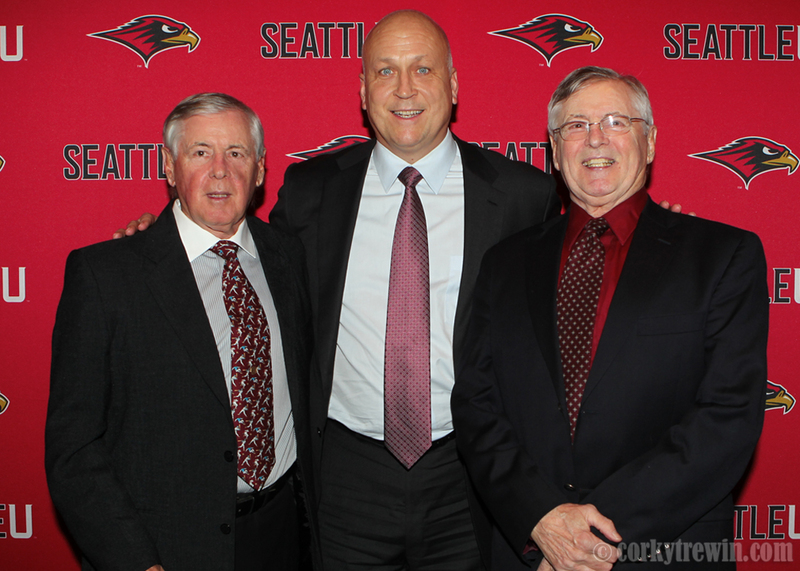 Cal joined Eddie and Johnnie during a Seattle U baseball fundraising event in Seattle, Jan 31, 2012. This entry was posted in MLB, Uncategorized and tagged Cal Ripken Jr., Eddie O'Brien, Johnny O'Brien, Seattle U.